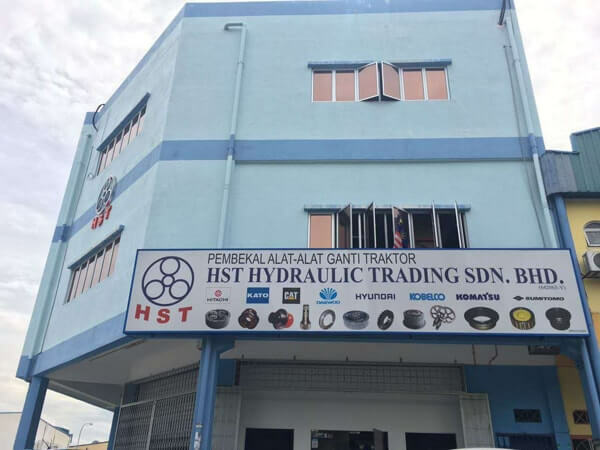 HST Hydraulic Trading Sdn. Bhd. Is one of J.R. Group branch which was incorporate in Kuala Lumpur. Apart from other branches of J.R. Group, we engaged as a supplier and distributor of excavators' series gears that served various markets like heavy machinery industry and excavator market. Ever since the foundation of HST, we have appropriated to diverse series of products to meet the demands of the market. Besides, company conductor always seeks for improvement and contributed to the growth of company. We have strong believed that our commitment to customers would gain customers' satisfactions and able to establish long- term relationships with our valuable customers. Over these years, our company has slowly emerged as one of the major suppliers in the industry, by continuous improvement to produce quality and services. NO. 279, Jalan KIP 3, Taman Perindustrian KIP, 52200 Kepong, Kuala Lumpur, Malaysia.